Games found: 20. In space combat games flying a starship is not enough, you have to be a good fighter to kill enemies and survive in space. The gameplay involves space combat (obviously) and, sometimes, exploration, trading, dialogues, etc. 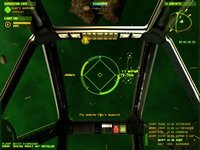 Two of the most popular space combat game series are Wing Commander and X-Wing / Tie Fighter.